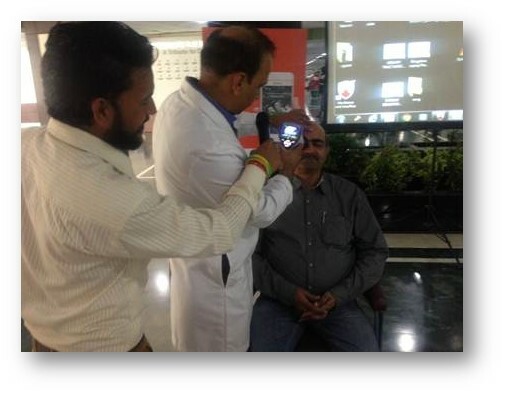 Weekend Conversations on ‘Diabetic Retinopathy’ by Dr Mukesh Vats, a Retina Specialist, was organized in IPD lobby. About 60-65 people attended the talk. 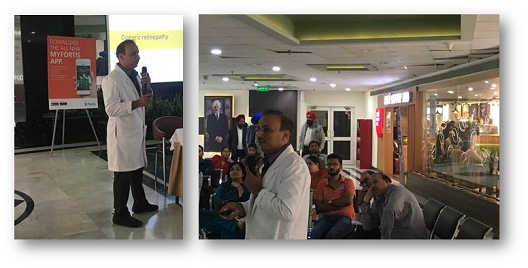 Speaking on the topic, Dr Mukesh said that that Retinopathy is a condition where the small blood vessels in the eyes become damaged as a result of high blood pressure or diabetes.